Kadaba, Mar 23, 2018 : Two house were gutted due to short circuit at Nekkiladi in Kadaba on March 23, Friday following a short circuit. The houses of Sevamani and Ravi Mestri were gutted as the fire broke up due to short circuit.The eletric and electronc items such as television, refrigarator, laptops etc, were completely ddestroyed. 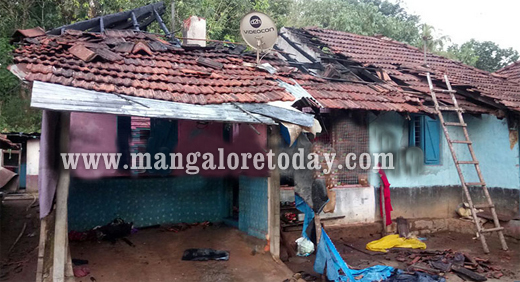 Puttur fire personnel rushed to the spot on information managed to douse the fire. However, the residents escaped unhurt.